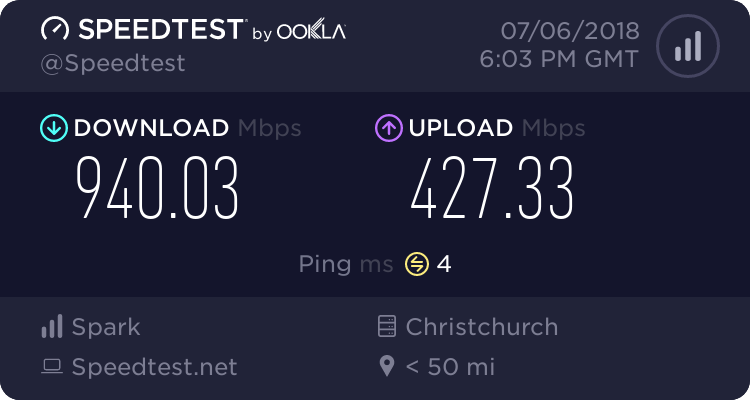 A Palmerston North family who bought a house five minutes from the city boundary only to discover they were in a broadband deadspot may have to wait until 2020 to get the internet connection they need. Lynda Mackenzie, her partner Daniel Huyen and daughter Chanel Mackenzie moved into the County Heights Drive property last week, six weeks after buying without a second thought about a broadband connection. They were close enough to the city to be fine, they figured. Most of County Heights Drive, in the foothills of the Tararua Range off the Pahiatua Track, is a deadspot on Vodafone's Rural Broadband Initiative and despite Chorus having a broadband exchange for the street, it does not cater for every house. The family is now fourth on the waiting list in the neighbourhood to get a port, and Chorus says they have to wait their turn, with no current plans to upgrade the exchange until 2020. They have managed to get an intermittent connection with Thin Air Broadband, but say they have to hold their computers in the direction of a solitary tower in the distance to get a connection barely quicker than dial-up speed. "I'm pretty sure we shifted back to last century," Ms Mackenzie said. "We are literally five minutes drive from the city boundary but we're not even on the map. "If anyone decides to build beside us and block our line of sight on the tower we won't have anything, we'll be back to square one again. Ms Mackenzie works from home as a proof-reader for Chinese companies and Chanel will be studying at UCOL next year. Both believe it will be a struggle to get things done if they cannot get proper internet in the house. "But I don't think we would be alone in that," Ms Mackenzie said. "I don't think anyone should be expected to survive without internet these days." Ms Mackenzie said the amount of people moving out of the lifestyle-block area was low, and those who did move out had been known to hand on their port to the next person as part of the deal. It meant being fourth on the waiting list could effectively be a life-time sentence. "The box is here, the exchange is here, all Chorus have to do is upgrade it but they say they won't until 2020." Chorus spokeswoman Elissa Downey said the family's plight was unfortunate, but it made no economic sense to upgrade an exchange just to meet their needs. The company always took into consideration the feedback it received and if there were more complaints from people in the area, the 2020 date was not necessarily set in stone, she said. "The entire country is going through a once-in-a-generation broadband upgrade at the moment and for us it's about weighing up each significant cost with the actual benefits. "The more demand there is, the more we will note that there needs to be an investment in an upgrade," she said. Real Estate Institute Manawatu spokesman Andy Stewart said that it was up to home buyers to make inquiries about whether their house could get broadband before they purchased it. If real estate agents were asked by prospective buyers, they had a duty to research the coverage maps for them, he said. Most would not do so as a matter of course because it was so rare to be without access to broadband in 2013, Mr Stewart said. What's that saying about assumption being the mother of something? I wonder if this family has any idea what a DSL cabinet costs? If you care to have a look at "County Heights Drive" on google maps, it's a rural location; too bad if it's only five minutes from the very edge of the city. DarthKermit: So how's your interweb access, Pete? Back OT, why are they connecting to Thin Air's tower with a laptop, I thought they were a fixed wireless provider? Also, no mention of Inspire. Sure they would be able to sort them out with something! I wonder what cave this family have been living in. There have been so many stories in recent years with people bleating about a lack of internet access in lifestyle subdivisions, I thought everyone would know to check they can get internet access if they need it. Going by this thread, it seems as though they have tried Inspire. County Heights is not that close to the city at all. These people are just moaning in the hope that something will happen. And county heights has a dip in it so they may be unlucky enough to not be able to see the Inspire radio site behind them. Maybe I should go up and try to sell them some ludicrously expensive Ubiquiti radios lol. I wonder what Farmside is?? I bet the next story will be. Highly congestion Chorus network in that place they live. Its funny how people sign up with an ISP to find they are on a waiter list. Pin it on the ISP as its "Their" fault they are waiting and try to scab free satellite off them or free mobile data etc.. I think it's about $200,000 to install a new DSL cabinet? In a perfect world, everyone would be within 3km of such a cabinet. Unfortunately, at these kinds of prices, there'll never be enough money to install 'em everywhere. I don't know how many sections there are in County Heights Drive, certainly not enough it would appear, to make a new cabinet a wise use of Chorus' capex. A WALL OF TEXT. And the entire article copied. Arghhh. On topic, when we bought a house we made a point of getting addresses and then calling TelstraClear to check that cable network was available at the addresses we wanted. This was back in 2006 - people should realise broadband access is as important as getting a house close to school (if you have kids) or to a bus stop (if you commute). People check that they have power and water when they're buying a house if you want them, so check if it has whatever other services you need, to. Several kilometers from a village isn't an implication of quality broadband. One important note to put down here to is the fact that when you check with a Comms provider before you move, they are "Yes everything is fine, you will have no problem with internet access at your new property" Then you move and find out there is no ports or a waiting list or just no connections at all. This happened to us in Christchurch suburb of Bishopdale in 2010. and Telecom was the offending company. I even made them check with Chorus before we accepted the property and according to them everything was fine, they even put through the Order, it wasn't until a week after we moved in that we finally got out of Telecom that there was no ports and it would have been Months before a connection could be sourced. great for us when two of us work from Home and require the internet. So the moral of the story is, even checking with your provider isn't a sure thing. freitasm: A WALL OF TEXT. And the entire article copied. Arghhh. Expectations of people are just that it will be there. There is a jackpoint in the wall and they dont think further. If it has one it surely has as good of DSL as what i had in the city! And even when they get connected to "Broadband" they'll be back in the news complaining about being on "something called a Conklin" and demand Chorus to upgrade them. You don't go rural and expect everything the city has, looking at the maps this is far away from any decent broadband also. Five minutes drive from the city boundary is rural. If you need internet check you can get it before you buy a house. Duh. They'll have to share a neighbours or start a mesh network. Or move. When a friend was looking for a house to one that didn't have any phone connection at all (it was a renter for its previous owners), they got the sellers to get one connected before settlement. Their lawyer said it wasnt the first he had to go thru that for either as it is just so important. Pretty much these days if you are in a port waiter area, the broadband is probably not worth it.